A couple of weeks ago we talked about Jesus being the light of the world from John 8:12. 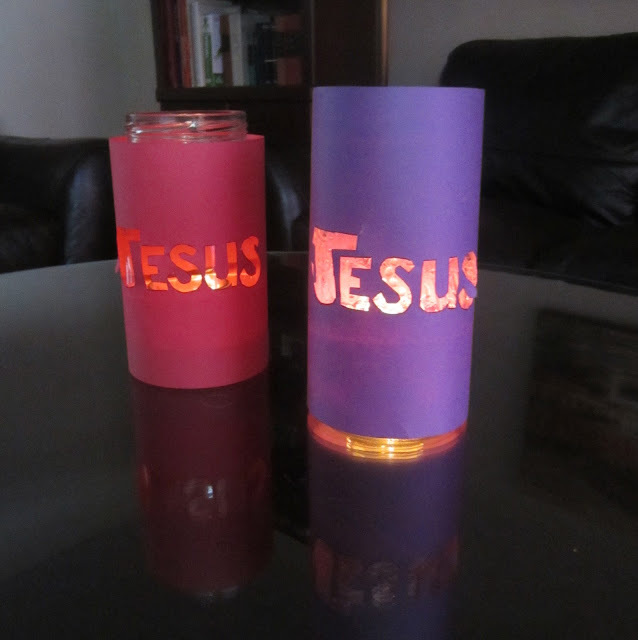 To help the story sink in, we made "Light of the World" lanterns. When we weren't using them as table centrepieces, we placed glow sticks inside and put them in the boys' rooms to look at night before falling to sleep. 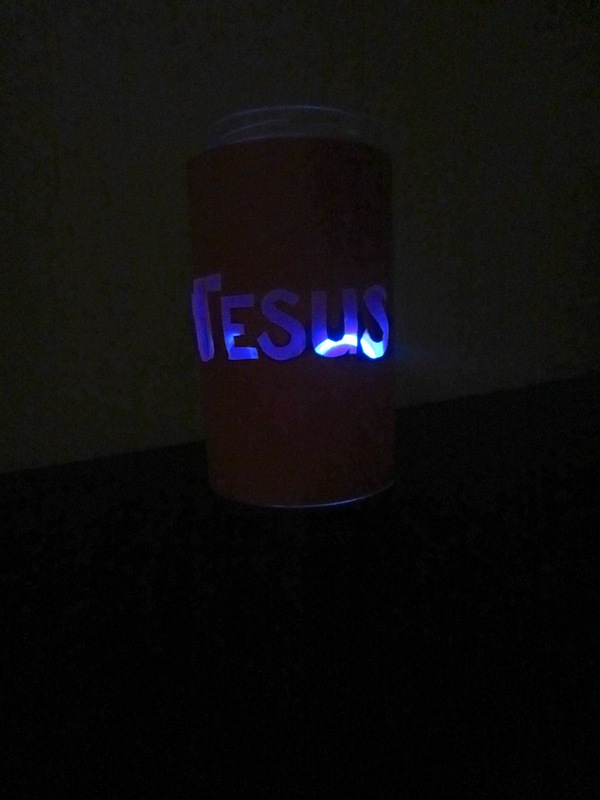 Now whenever we look at our lanterns we can remember that Jesus is the light of the world. We also did a Science activity called Polar Night. We learned that the Arctic Circle in winter experiences polar night: 24 hours of darkness. In June it experiences Polar Day: 24 hours of daylight. 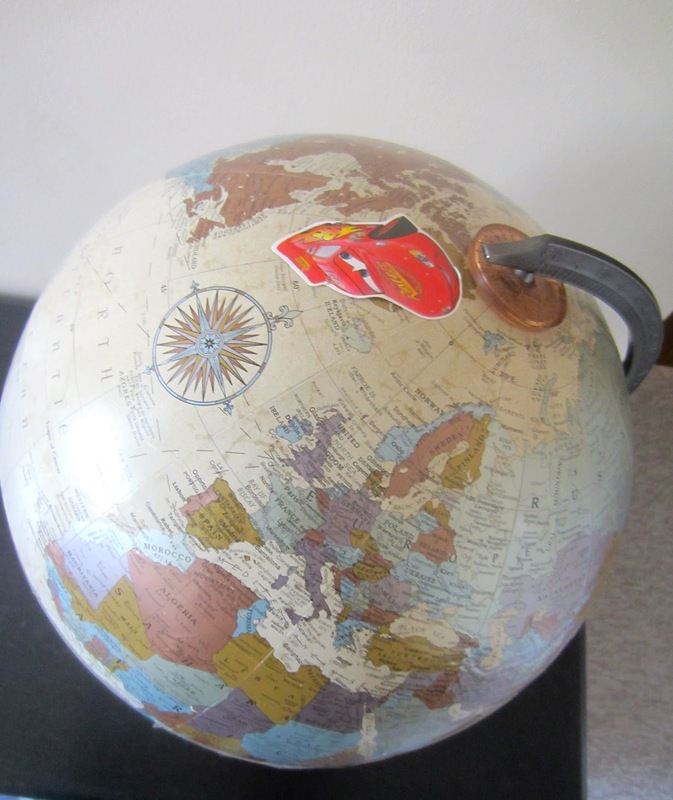 I placed a big "Cars" sticker on Greenland so that when I spun the globe the boys could see that the sticker stayed in the darkness without any light. We talked about how Jesus is like a light (morning sun) that rises up and makes everything day after it has been dark for many months. If we follow Jesus and listen to the Bible then we will never stumble around in that darkness again. This also was a great experiment to add on to our Arctic Study. I also showed the boys that the earth travels in a circle around the sun (the lamp was our sun). Greenland ("Cars" sticker) in total darkness. Greenland in 24 hours of daylight.